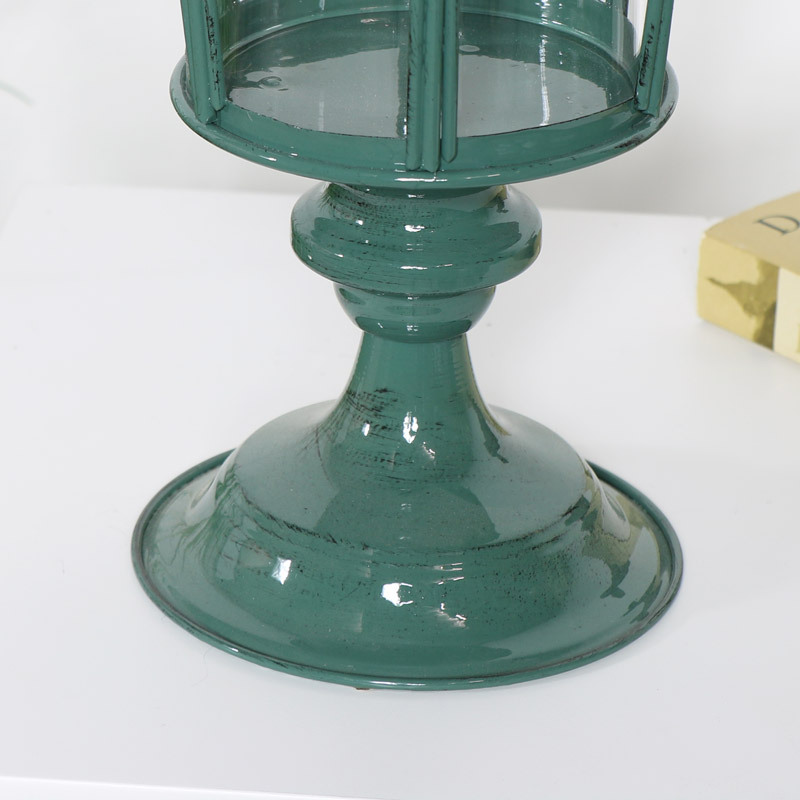 Pretty candle lantern in green painted finish. Traditional design with glass hurricane insert. Perfect for indoor and outdoor use. Beautiful vintage design that gives a old style feel. Perfect for the home and garden, this lamp would also make an attractive wedding table display. Easily holds large tealight or pillar candle. 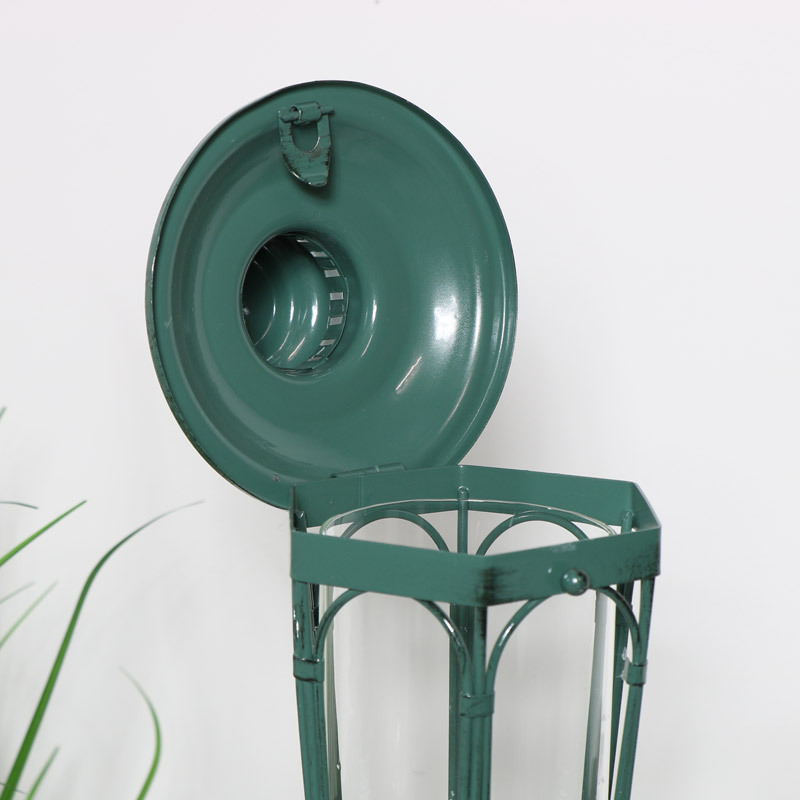 Beautifully finished in a green enamelled finish with distressed effect to give an appearance of age. 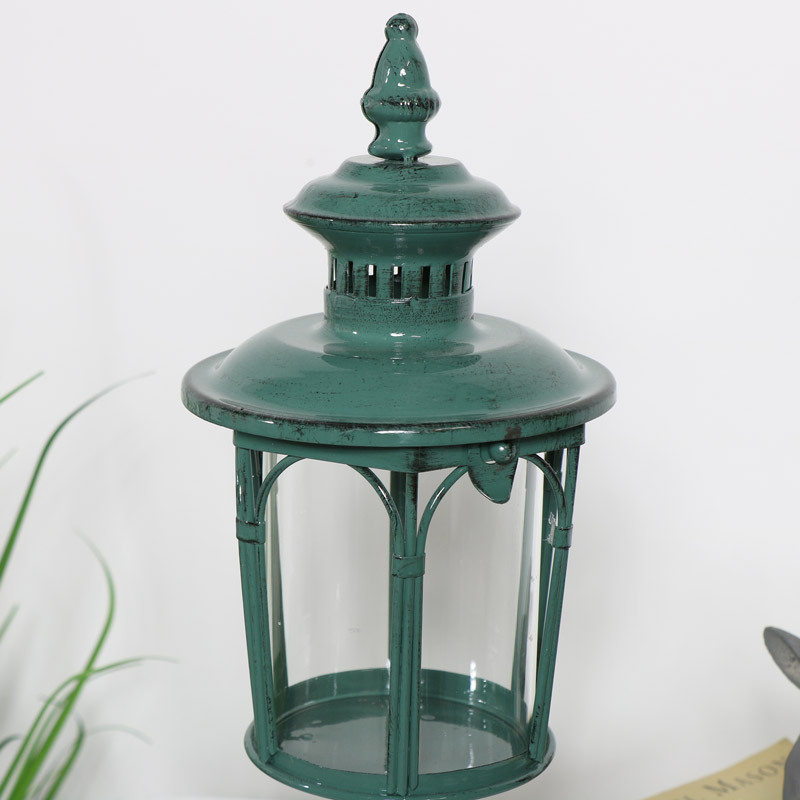 Pretty candle lantern in green painted finish. Traditional design with glass hurricane insert. Perfect for indoor and outdoor use. Beautiful vintage design that gives a old style feel. Perfect for the home and garden, this lamp would also make an attractive wedding table display. Easily holds large tealight or pillar candle. 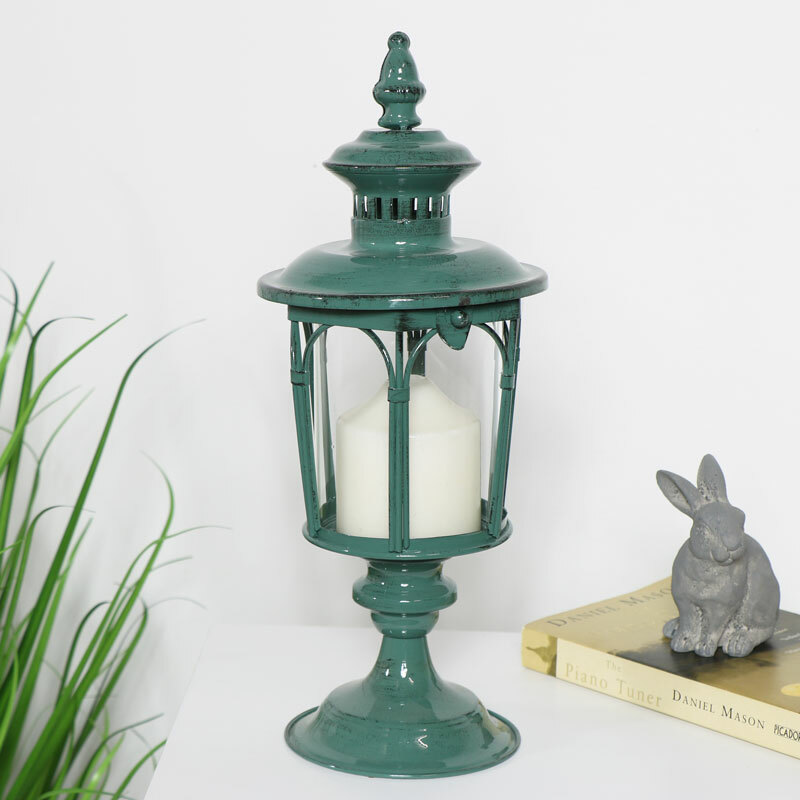 Beautifully finished in a green enamelled finish with distressed effect to give an appearance of age. Made from metal in a green painted finish. Comes with glass hurricane insert. Top opens for easy access. Just a small part of our fanastic range of candelabras, candlesticks, lanterns and tealight holders. A great home accessory that allows you to create a little mood lighting to your home.